Despite finally shutting down the Connect music store this week, Sony still announced the price and availability of three new flash-based Walkmans. Two of these will be the first Walkmans in the U.S. to support video playback in addition to music & photos. The third is new feature-packed tiny thumbdrive-like music Walkman with a LCD display. Also all their players now require NO DRM! Both of the two new video Walkmans sport the new user interface to browse through music, photos, and videos. Both units feature a QVGA 320 x 240 pixel LCD display running at up to 30fps. And both units can playback music for up to 33 hours, however the S610 can play video for up to 9.5 hours while the A810 runs short at 8 hours. Also since the new Sony Walkmans are “open platform” they now support non-secure AAC and MP3, secure WMA, plus JPEG for pics, and MP4/H.264/AVC video codecs. The A810 comes with a high-quality set of Sony ear-buds (MDR-EX082), while the S610 includes a built-in FM tuner with custom presets. Both models are available in three capacities: 8GB, 4GB, & 2GB. 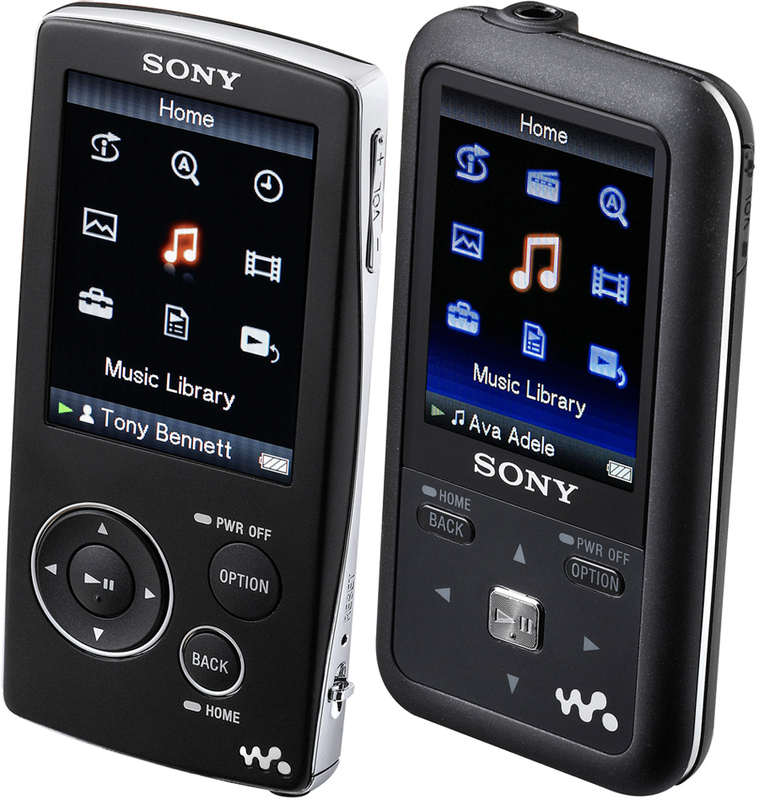 For those who just want a music player, the B100 packs a 3-line color LCD display and a FM tuner. In addition the entire unit can be plugged right into a USB port to charge, transfer music, and even copy other documents. In addition, the B100 can even record FM radio in addition to capturing voice notes with its built-in microphone. Since this walkman is also “open platform” it can also play any non-DRM music file. This Walkman is available in 1GB and 2GB capacities and offers up to 12 hours of playback. All three players is available online at SonyStyle.com/walkman for pre-order and will become available in retail stores starting in September. Pricing is as follows. A810 Series: 2GB $140, 4GB $180, and 8GB $230. S610 Series: 2GB $120, 4GB $160, and 8GB $210. B100 Series: 1GB $60 and 2GB $80. They almost made it. Put in thwe 2 – 4 GB SD flash card and I’ll buy one.